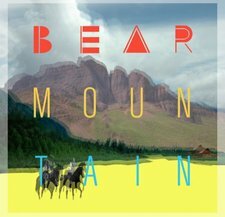 Bear Mountain's electro/dance style blends syncopated bass lines and arpeggiated synth chords with live instrumentation and soaring vocals to create a style all their own. Their approach to the traditional "indie-pop" genre is unmistakably fresh, and powerfully captivating. In a short amount of time, Bear Mountain has garnered a significant online following through the release of early demos and remixes. This presence online has translated into strong support for Bear Mountain's live show in Vancouver, and the anticipation of a studio release from the band.